Some of our crane and equipment inspection clients provide a certificate of inspection to their customers after completing an inspection. 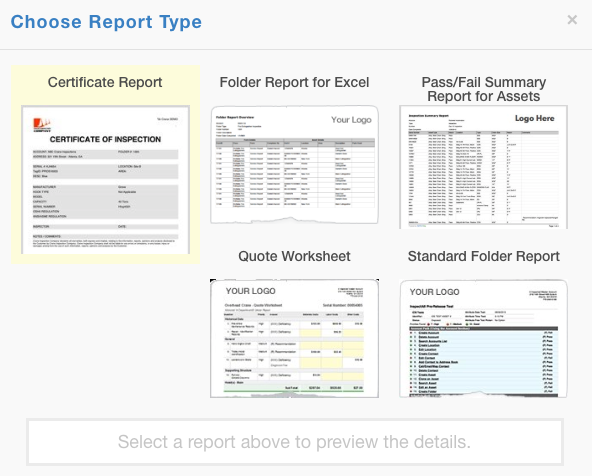 InspectAll now offers a standard "Certificate Report" with a generic certificate option that will automatically populate with your folder report. If you are interested in having this report added to your account, please contact us at support@inspectall.com and the report can be added to your account at no charge. To set this report up to work in your account, the first step is to ensure that any form template, where you want this report to populate, has been edited to include the following question. You can make these edits from "Form Builder" with your Admin access. It can be anywhere on the form template, but it must be worded the same. The priority levels don't matter, but it requires you have a Yes/No single select answer list, and the question be "Certificate Issued". Once you've set that up on your form template(s), if you answer a "Yes" during form entry, and then mark the form complete, you can choose to download a "Certificate Report" as one of your report options. From within the folder on the web, select "Download Report", then click on the "Report Type" box. In the Report Type window, select "Certificate Report". See the sample below of what populates (at the end of the standard report). 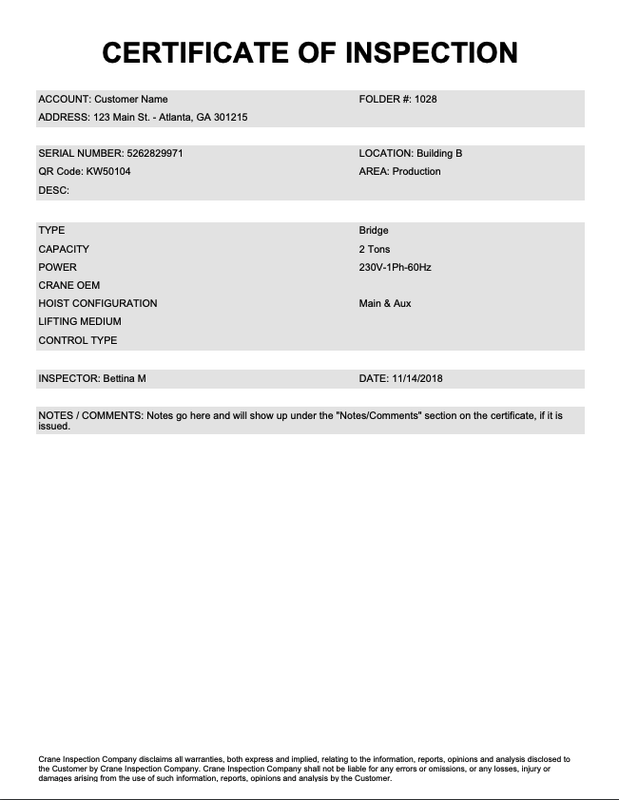 It's a basic "Certificate of Inspection" and will list the customer name, folder ID, customer address, Location, and area. It will also list ID1 and ID2, as well as the top 7 attributes for that class. Lastly, it will populate the name of the inspector who marked the form for that asset complete, and the date they marked it complete. 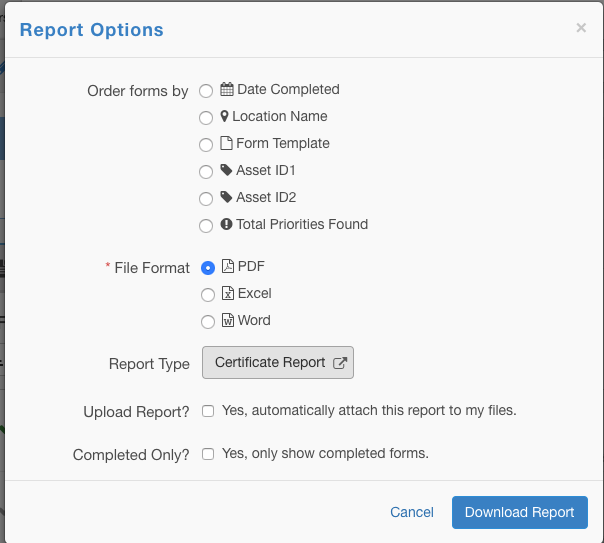 At the bottom of the report, your standard report footer will populate.